It’s been quite a day. We woke in Petra, half expecting to see a light covering of snow outside but thankfully, there was none. Our day has been one of those memorable days; surely one which will stay with us for a long time and not one I feel I can do justice to at this late hour (it’s now just turned 10pm) So for now, I’ll just leave a few photographs here to offer a flavour of the day and as a reminder to myself for tomorrow, when I can fill in the details. 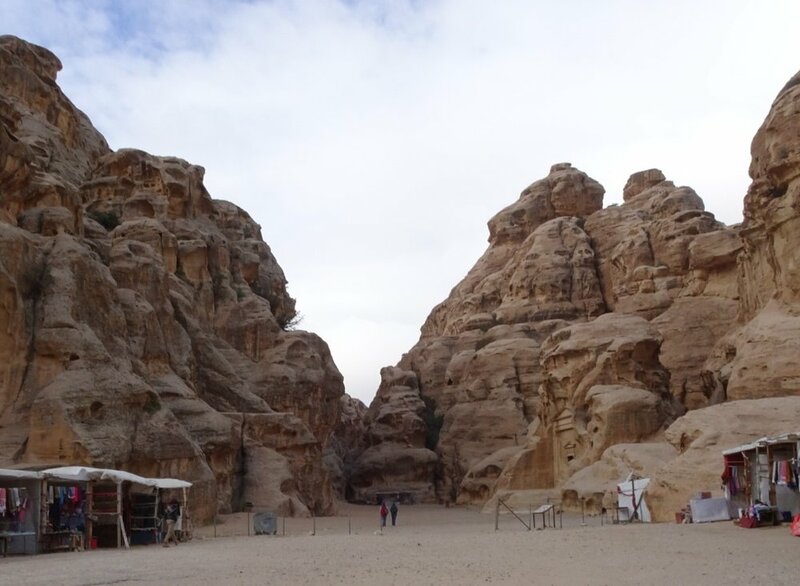 We drove through the wider Petra area to get there, enjoying views over the area we explored yesterday. I’ll tell the story of this tomorrow, too. I took pictures of our journey through the frosty desert - quite a sight, and one which caused people to stop and get their cameras out. There are tales to tell from our adventure in Wadi Rum, told from the open 4WD truck which had the best views imaginable. I was hoping for a quote or two from the local residents but only one had anything to say and that wasn’t really printable. A four hour journey along the Desert Highway didn’t offer a great deal of entertainment until the sandstorm blew in. Lastly, there’s our arrival around 7.30pm at the Dead Sea, where the lights on the horizon shine from Jerusalem and, we are assured, there is water out there somewhere. We’ll explore that tomorrow too. For now, then, I’ll empty the sand from my shoes (is there any left in the desert, I wonder?) and make the most of a wonderfully comfortable bed. We will have all the time in the world in the next few days as we kick back and spend the weekend here in this beautiful Dead Sea resort..
Join me in the next post for all the details!